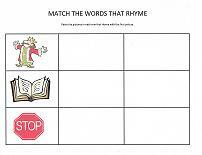 Rhyming worksheets will help children improve their auditory skills. 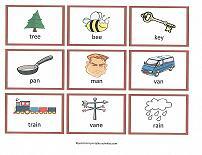 Have them say the words out-loud so they can hear that words that begin with different letters can have the same sound at the end. 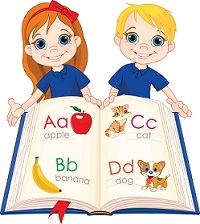 Practice will also help children when they learn to read and understand word families. 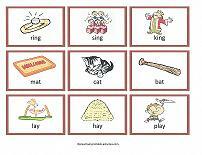 An example of a word family is "at". 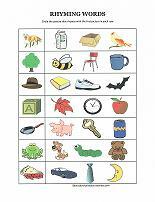 Add one letter and you'll have cat, bat, hat, sat, fat, mat, etc. 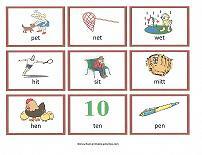 The set of worksheets below asks the children to circle the picture in each row that rhymes with the first picture. This series involves drawing a line from the picture on the left of the page to the picture that rhymes on the right side. 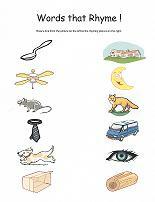 Here's a fun cut and paste activity for rhyming. 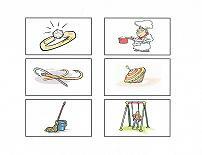 Cut out the six pictures on the second sheet. 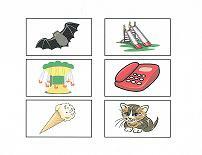 Look at the picture in the first row on the main worksheet and paste the two pictures that rhyme with it in the boxes provided in each row. 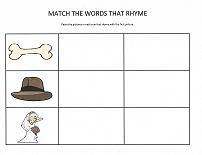 Here's a couple of worksheets that involve words that rhyme. Each of the boxes contain three pictures. Two of the pictures rhyme. 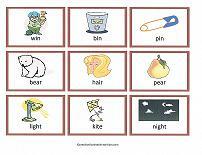 Have the children circle the pictures that rhyme. 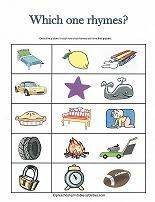 This rhyming activity can be challenging for young children, so start with one page at a time. Cut the page into nine individual cards. 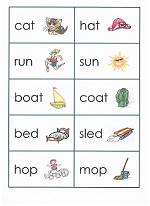 Let the children say the name of each picture out loud and "match" the rhyming words. 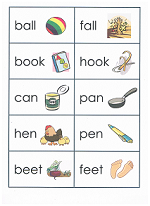 When children understand the concept of matching sounds, remove one of the 3 rhyming cards from each set above (so there are pairs of rhyming cards) or use the pairs of rhyming cards below. 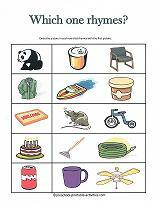 Shuffle the cards, turn cards over face down and lay out in a grid on the table to play "Memory Match" by turning over two cards to see if they rhyme. If they do, the player gets to keep the cards. If not, they have to turn them back over and it is the next player's turn. 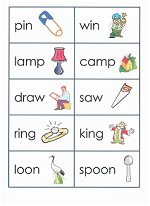 After turning one card up, if they can remember where they've seen a card that rhymes, they can turn it over and take the pair. Whoever ends up with the most pairs when the table is cleared wins! Print on card-stock paper so the cards are thicker and will not be see-through. Depending on the ability of your child, play one, two or all three sheets. 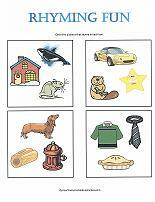 Alphabet coloring sheets﻿ that each have several pictures to color that all begin with the same letter. 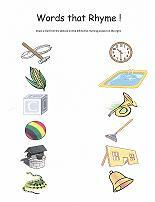 Every letter from A to Z! 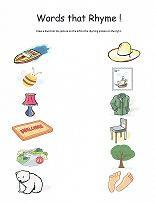 Alphabet coloring pages - Large letters and a fun picture for each letter. 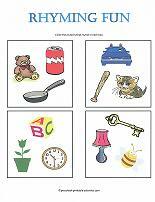 Alphabet Flip Book - A mini-photo album and free printables will easily create a great way for preschoolers to learn colors.